So … after many months, here we are again. I confess I kind of abandoned this blog because of an apparent lack of interest (and it’s quite a lot of work, to be honest). But I was feeling a little nostalgic, so I thought I’d pick it up again – for now. Can’t promise how long it’s going to last. 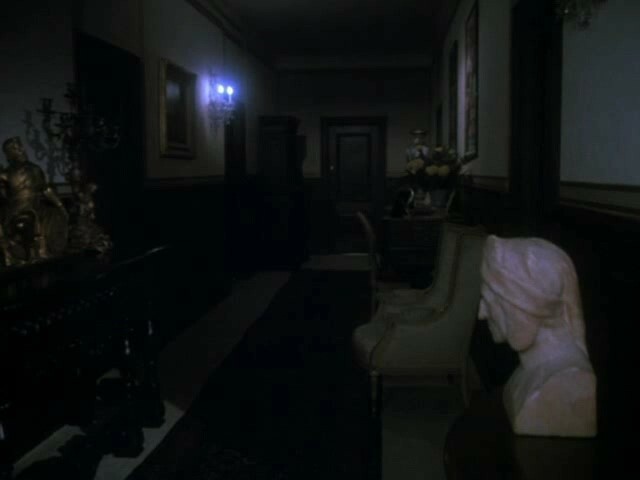 Our episode opens on an outside view of a palatial home on a dark night. Suddenly we hear a scream. What horror could have prompted this bloodcurdling cry? Perhaps the revelation that people actually name children Bibi. Bibi Osterwald in her heyday. She seems like a cheerful gal. 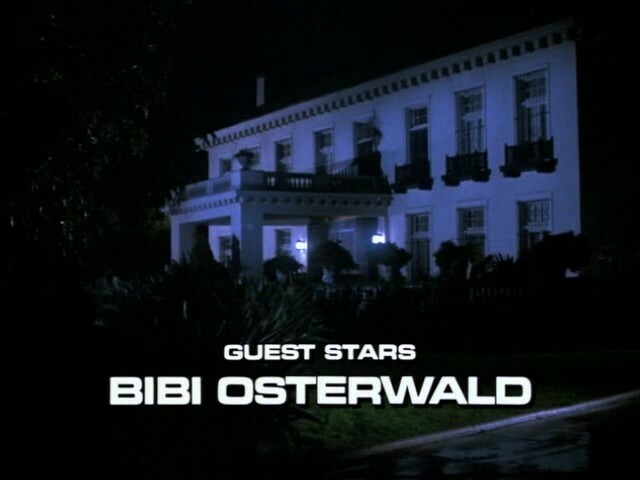 Bibi Osterwald had already enjoyed a long and active career before this guest shot on Remington Steele. Beginning in 1948, she played a wide variety of guest roles on TV (her only regular live action series role appears to have been as David Birney’s mother on the early 70s series “Bridget Loves Bernie.” Her final role was as Grammy Gingersnap on the Rugrats cartoon. 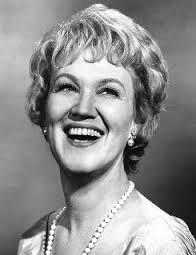 She died in 2002 at the age of 83. … we learn that the very versatile Peter Jurasik is also guesting tonight, in the first of two guest appearances on Remington Steele. 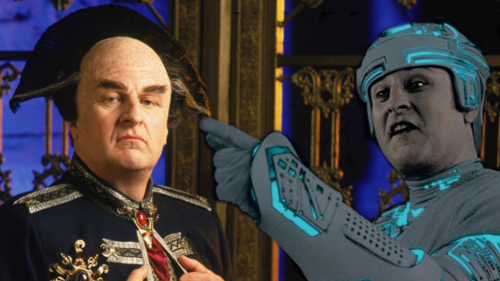 A steadily working character actor, Jurasik has achieved cult status in two roles in particular..
As the pompous and belligerent Centauri Ambassador Londo Mollari on the TV series Babylon 5, and as the ill-fated compound-interest Program Crom in the 1982 film Tron. 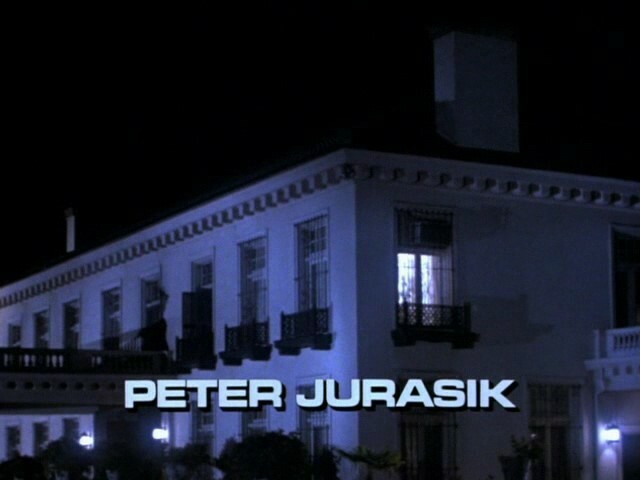 I gotta be honest: I love me some Peter Jurasik. 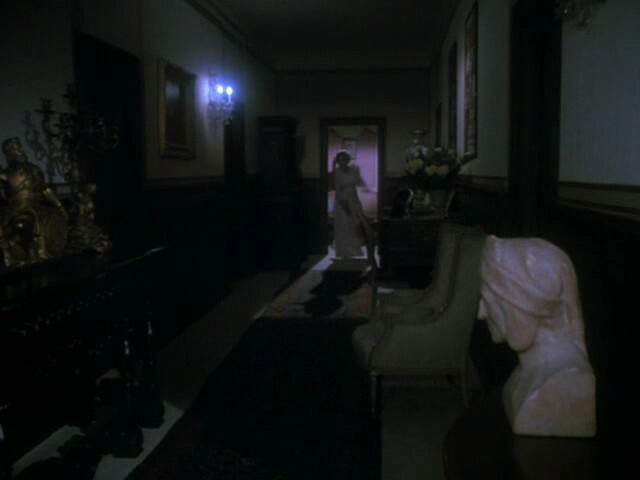 The screaming continues, not entirely convincingly, as our view moves to a dimly hit hallway inside the mansion. 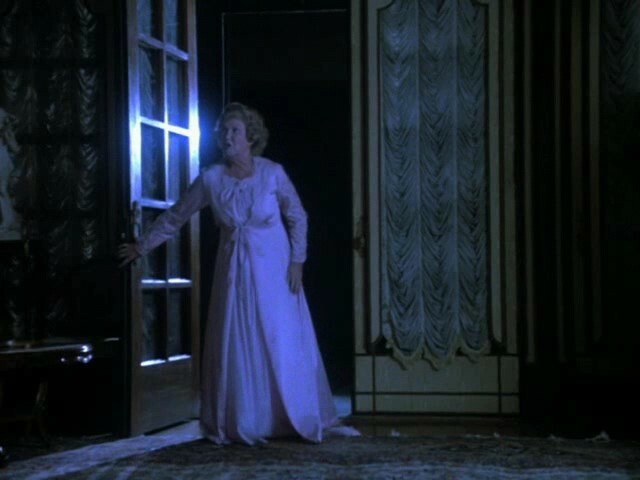 Suddenly a figure in a flowing nightgown appears at the end of the hall. 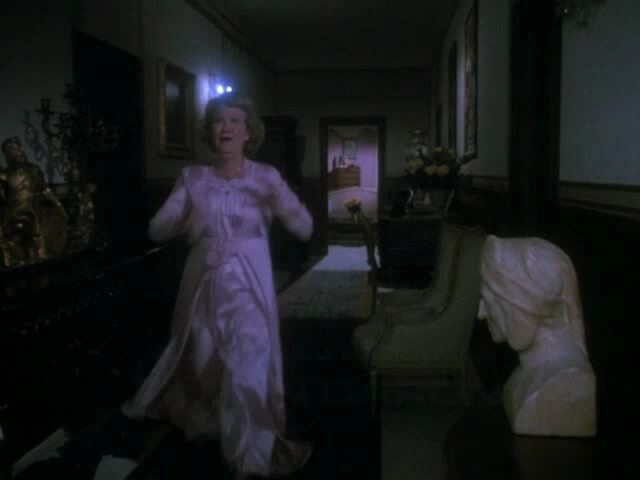 It seems it is she who is screaming, presumably from having stubbed her toe on one of those big pieces of furniture sitting in the hallway to trip over in the dark. As she gets closer, we see it is an older lady in a hurry. 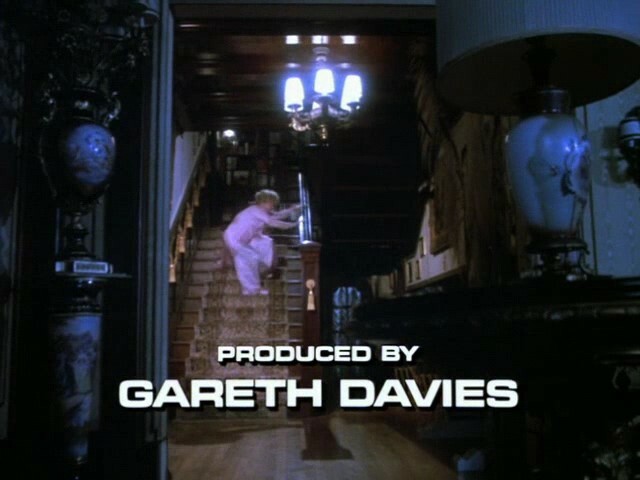 The woman reaches a staircase, and the sudden appearance of Gareth Davies’ producer credit in front of her causes her to lose her balance. 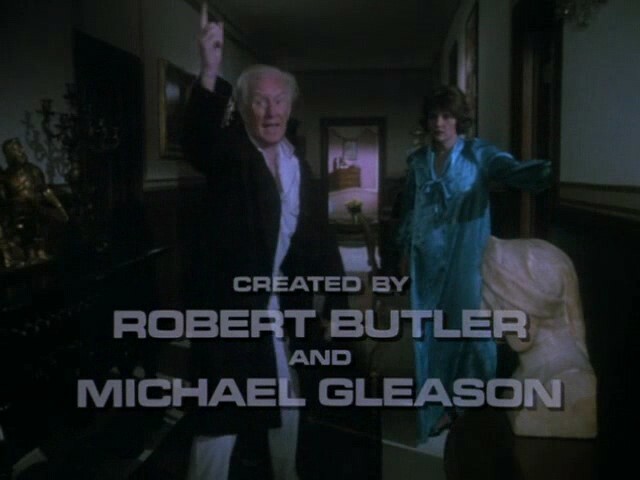 He encounters another lady in a silky, albeit somewhat matronly, nightie, to whom he shouts, “She’s at it again!” At the same time, the credits helpfully remind us that Butler and Gleason created this awesome show. 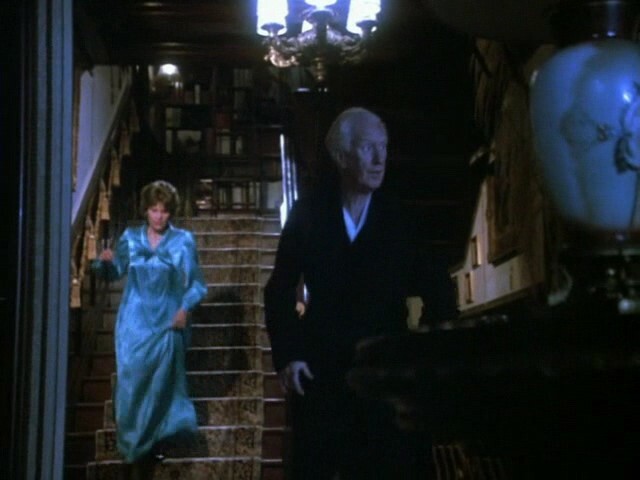 The apparent rescuers dash down the stairs. 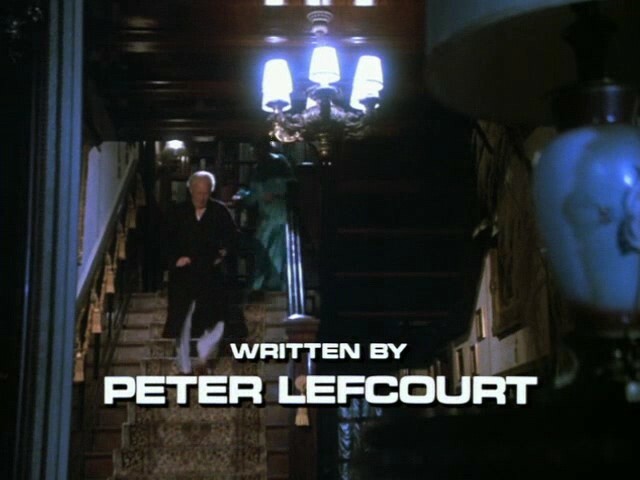 We learn this episode was written by Peter Lefcourt. 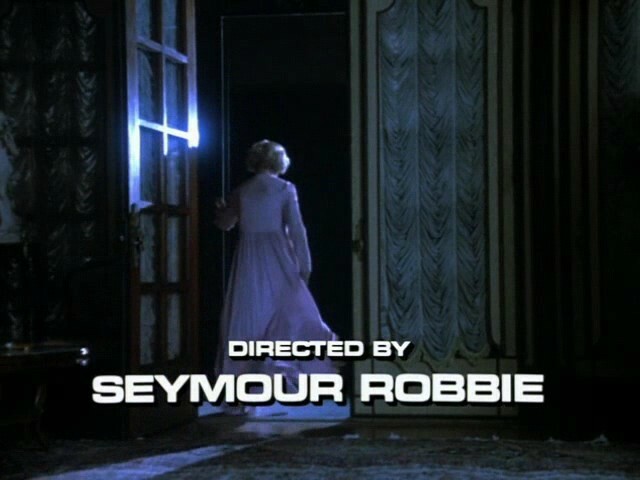 This is Lefcourt’s only writing credit for Remington Steele, but he wrote several for Scarecrow & Mrs. King (perhaps poached in the same raid that stole Beverly Garland) and Cagney & Lacey, among other series. 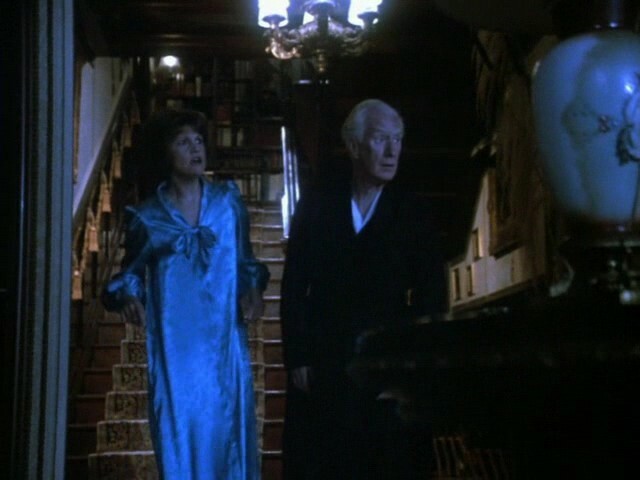 The older gentleman and lady do not discover a body at the bottom of the staircase. This is a surprise. “Mother!” the lady calls. So is the old guy Dad? YAY!!! You are back … I’ve missed these! And your sense of humor is still in rare form … >>the sudden appearance of Gareth Davies’ producer credit in front of her causes her to lose her balance.<< – LOL! Batman crossover – HA! Looking forward to more! So glad you are back!!!!! She tripped over the credits LOL. Missed your blog a lot. Plus I love that we get to discuss each episode in detail. Thank so much for your hard work. I am SO GLAD you are back, I missed regular doses of your too funny RS scene descriptions! I was wondering if anyone saw the new show “the Catch” which seems to me an anti-Remington Steele/homage. A female PI falls in love with someone who turns out to be a con man. 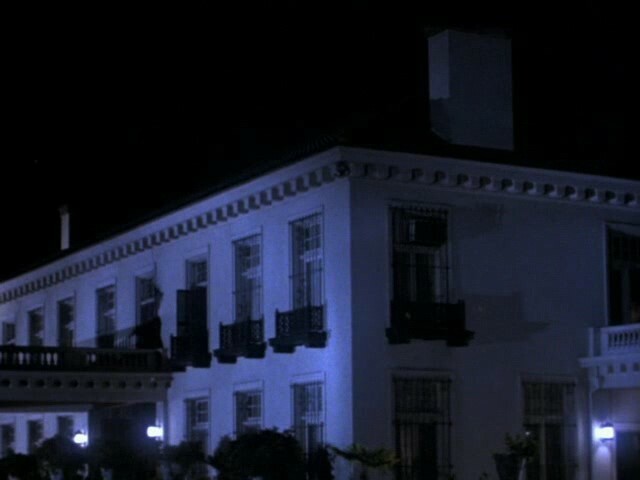 At the end of the first episode the con man leaves the PI taking all of her money. For the subsequent episodes the PI tries to catch the con man and it is clear the con man actually loves the PI. Some thoughts: 1) In 2016 it is no problem for a female PI to have her own successful business in her own name and lots of clients. Yay for progress. 2) The “will they won’t they dynamic”: The PI and conman are sleeping together in the first episode. 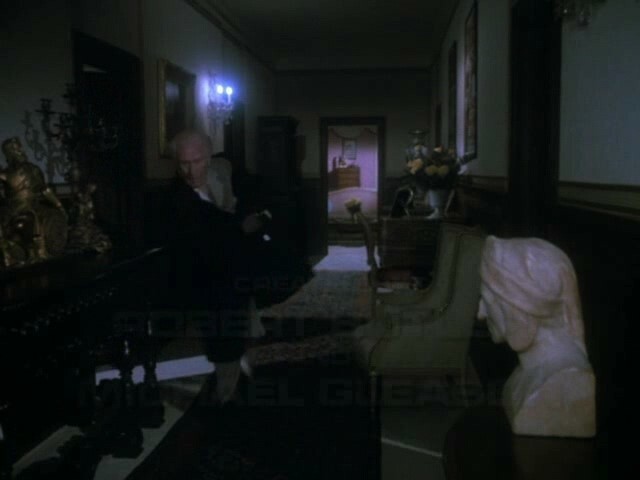 But there is still a “will they or won’t they” question about whether love will conquer all. . 3) Movie references: there is a strong movie reference in the use of split screens like in the Thomas Crowne affair. I feel like there are others too. 4) the fundamental conflict in the Catch seems weaker than in RS. In the Catch, the conman has some partners who seem to have something over him (including threats to the PI) that stop him from returning to the PI, declaring his love and living happily ever after. One of the brilliant things about RS is the portrayal of RS’s conflict within himself and changes over time. Thoughts? Hi! I’ve seen ads for this series, but didn’t pay much attention. I will now. It certainly does sound like it owes some inspiration to RS. Don’t get your hopes up TOO MUCH. The writing and chemistry between the leads isn’t nearly as great as in RS. But comparing the shows makes me think about how in some ways the world has changed a lot in the last 30 years and in other ways not. I watched the 2 episodes of the Catch. Although it nods towards certain resemblances to RS, it lacks the heart. The plot plods along and at times is kind of boring. I think the main problem is: the characters are bland. There’s no chemistry between them. Even the woman character whose money got stolen seems so low key about it. If a con man stole my money after making love to me, I’d be steaming mad; you’d be able to see the steam rising out of my ears constantly. I can’t get excited about them as a couple because there is no chemistry even when the scene is at its steamiest. As far as inner turmoil there doesn’t seems to be much on his part, he just wants to be back with her. I won’t say anymore about this because I don’t want to ruin it for anyone who hasn’t seen it. A lot of shows start slow like this so I’ll watch a few more episodes to give it a chance.